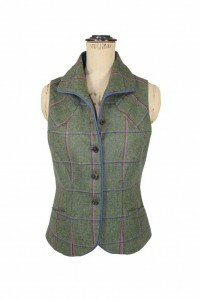 This stunning gilet is brand new from tweed designer Timothy Foxx’s new autumn/winter collection. The Timothy Foxx Matilda Gilet is just what you need to keep you feeling warm and looking stylish this season and celebrates curves with its incredibly flattering tailored silhouette and high collar. Styled in quality British tweed and lined with a gorgeous two tone blue viscose. Finished with two small pockets and signature Timothy Foxx buttons. 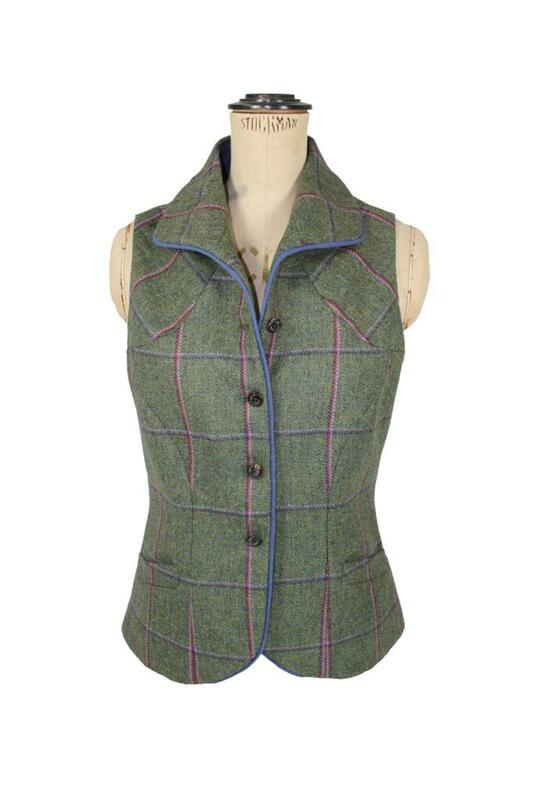 With matching tweed skirts available, this gilet can be dressed up or down with great results!